BRYAN EATON/Staff Photo. 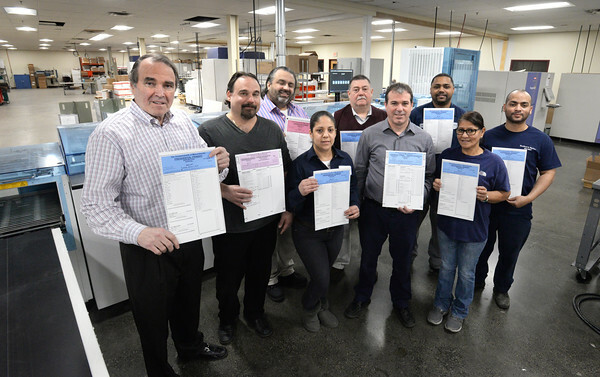 Bradford and Bigelow head John Galligan,l eft, and his crew print election ballots for Massachusetts and parts of New York state. From left, Galligan, Paul MacDougall, Peter Anton, Andy Rodriquez, Rick Dunn, Paul Petrie, Samuel Batista, Annabel Romero and David Ayala.